I’m honored to present a guest post by Brooke Lynn, author of Raised by Strangers. “The ocean is your peace, so sweet and so surreal; you wonder if it’s a dream but realize it’s all for real. You watch and hear the seagulls flying low for you to see, it’s at this time and in this beauty you view creation; see it is Me! In California, you set your feet upon the sand and felt the water. You weren’t paying attention to me but I was holding onto you, my daughter. Remember at that time you felt such a sense of peace. And now comes another time when you can breathe, relax and release. Your memories are painful and hard to understand. At times I carried you, and at others I held your hand. When you asked Me to reveal myself and questioned my reality; I surely didn’t disappoint you after all the things I let you see. You never gave up hope or any of your faith. You just kept believing and praying, calling on my name. And here I am right now, standing next to you; embracing you ever tightly, so faithful, real and true. Let us join together in a relationship of delight. I will never leave you, morning, noon or night. The prayers you pray I answer, your words rock My Throne. The prayers you pray I answer and I will give you bread and not a stone. Do not question if you are crazy; it is Me you feel and hear. I am very close, so familiar, and holding onto you my dear. And what is it you ask and want of me; to publish your book and work in ministry? To help others is your desire and to glorify me in all you do, I will say yes to you sweet child, and work side by side with you. Keep your focus on me and let’s grow doing this as a team. I have yet more to offer you, more than you can imagine think or dream. And you ask Me today to clearly give you a sign. Will your book be published? Yes, and with only God’s great design. You will have the book and many others too, but stay focused on the simple, My love and relationship with you. You will keep growing and more revelation will come. And sometimes it won’t be the end even when you think you are done. Keep praying to reveal Jesus with your life’s story. My love, power, peace, strength, and the Holy Spirit will anoint you and see you through. Draw Close To Me, And I Will Draw Close To You! He has kept his word and promises to me. 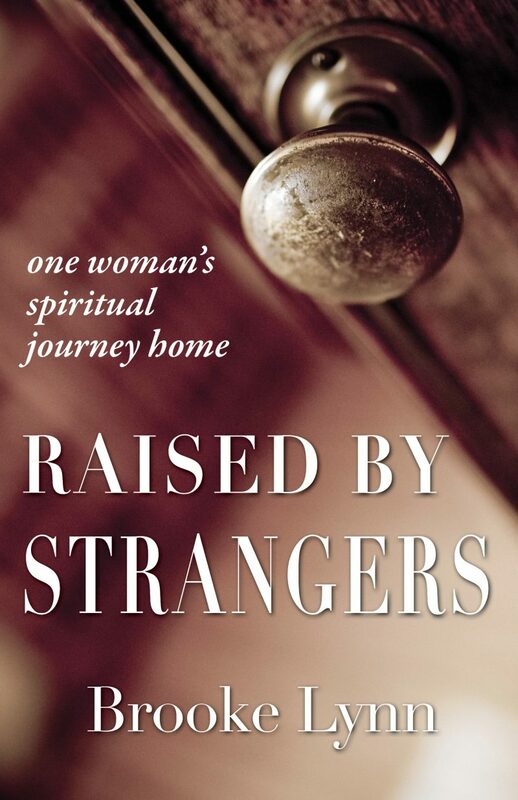 I am ecstatic to announce that just last week on October 31st 2014 my prayers were answered and my book entitled, “Raised by Strangers” was published! When I was just five years old, I was kidnapped and forced to live a life burdened with cruel physical and emotional abuse. I was ultimately raised by strangers who tortured me. By harnessing my inner will to survive, I was inspired by an invisible hope, helping me fight off demons and stay alive. In Raised by Strangers, I courageously uncover my true life story and reveal forbidden secrets driven by darkness and deception. My life story will help you find the courage and strength for healing, to face your fears, forgive offenses, and live a life of freedom. You will learn your past doesn’t have to define you or forecast your future. Let’s journey together now into my life changing story and give God glory and thanks for what He has done! Thank you! Brooke Lynn is a writer, nurse, and a health and wellness enthusiast. She transparently reveals her life experiences, struggles and triumphs with abuse, poverty, marital demise, parenting, and eating disorders helping others find the courage and strength for healing. Brooke educates and creates awareness about eating disorders sharing her 26 year battle and recovery. She was an invited speaker for Cherished, a girls youth conference, and in December 2012 was the key note speaker for the IAEDP Foundation, promoting professionalism among practitioners treating those suffering from eating disorders. She has served as a children’s praise and worship leader, worked with middle and high school students, and also served on church prayer teams with a heart for intercessory prayer. She passionately motivates others into a deeper level of faith while encouraging them to love and accept themselves. She resides in the Washington D.C. area, has been married for eighteen years and is raising two teenage children.